Highland Charter Township is a community in Oakland County Michigan with a tremendous variety of activities and benefits to offer residents, visitors and those looking to relocate. The community had tasked a team of residents, business owners and other stakeholders with the goal of developing a brand and position that uniquely reflected the Township’s many attractive features. This effort was driven by the visibility of neighboring communities and their respective branding efforts. In addition, there wasn’t consensus among stakeholders of how best to create and solidify a unified message. Our first step was to establish a baseline of criteria that would set the tone and creative direction for the brand. 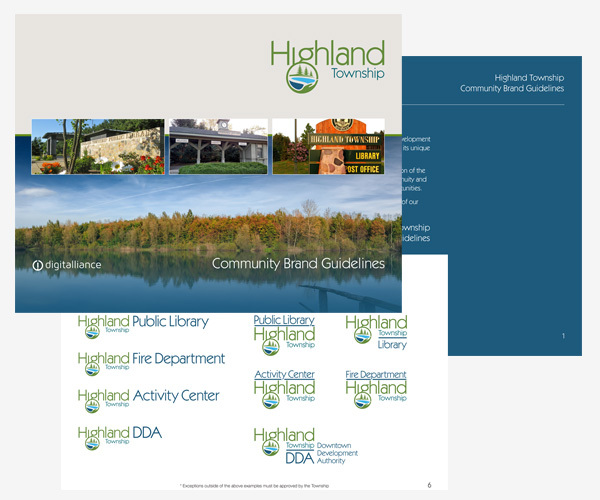 We developed a branding survey and engaged the community with specific questions designed to identify the most important features Highland offers. With significant community input, and discussions with the community branding team, we explored and presented a range of creative executions for a logo, tagline and position. Concepts ranged from traditional to contemporary styles that encapsulated the personality of Highland and referenced the criteria established through research. 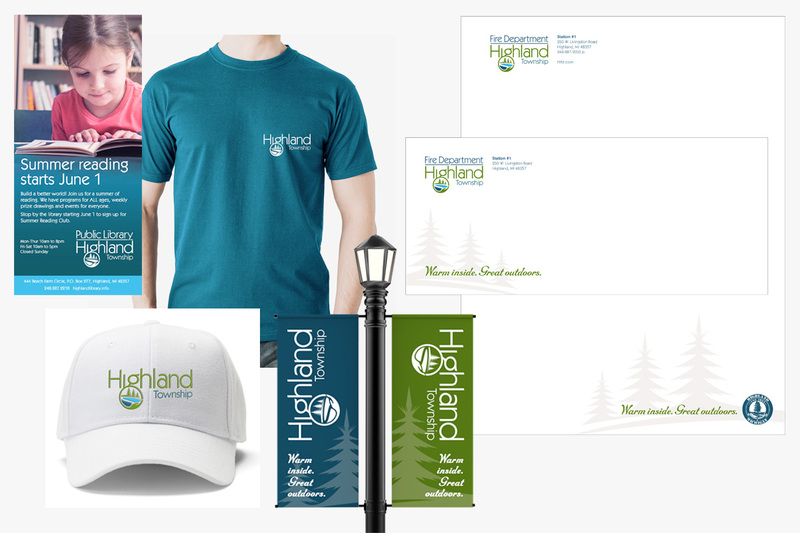 The result is a logo and tagline that celebrates the outdoor activities Highland has to offer, and the warm and welcoming nature of the community.